Our office in Ramallah aims to promote democracy and make contributions to regional conflict management. To achieve this we work with civil society actors, universities, think tanks, and young activists. Our Ramallah office, established in 1999, is a regional office active in the programme areas of democracy, ecology, conflict management, and of international politics. The office aims to promote democracy and make contributions to regional conflict management. To achieve this we work with civil society actors, universities, think tanks, and young activists. A central aim of our democracy programmes is to promote civil society actors that campaign for democratic reforms. In addition, the Heinrich Böll Foundation works with grassroots initiatives, NGOs, as well as with academic institutions active in the field of democracy research. We also address the current transformations in the Arab world and, specifically, the need for reform in Jordan. 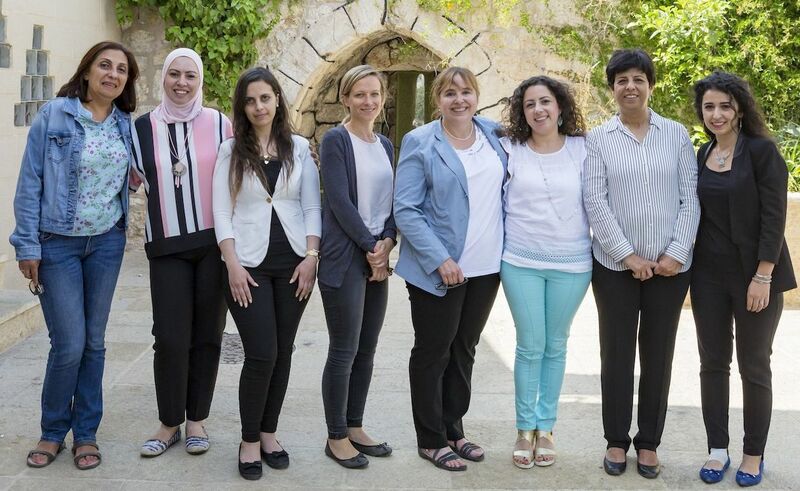 Gender democracy is an integral part of these programmes, and the office collaborates with Jordanian organisations on issues of participation and the social as well as political empowerment of women. In Palestine we partner with a group fighting against the legal discrimination of women, for example, the marginalisation of divorced women. Programmes on conflict management and international politics mainly address the Middle East conflict and debates among Palestinians. Here, the Foundation is trying to support domestic and international debates that focus on international law and human rights. To make progress towards this goal, it is of the utmost importance to bolster a Palestinian civil society that is oriented towards non-violence and democracy. Our ecology programmes in Palestine focus on Palestinians’ access to natural resources, as this stresses the juncture between the political framework and environmental justice. At the same time, the office supports an online magazine that deals with environmental and development issues in Palestine. In Jordan we work mainly on questions of energy, as this ties in with Jordan’s emerging anti-nuclear movement and the growing support for renewable energies. The Heinrich Böll Foundation holds that a society should decide through public debate on how to use its natural resources – and here questions of energy policy are of great importance. The Foundation is active in Palestine, the Gaza Strip, and in East Jerusalem.